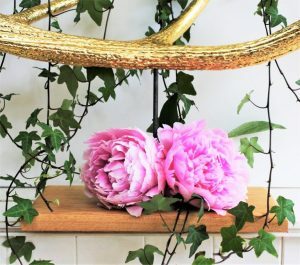 If you’re looking for something unique and eye catching to add to your special day, then take a look at what Serena, founder of Deerheart Design, has to offer. 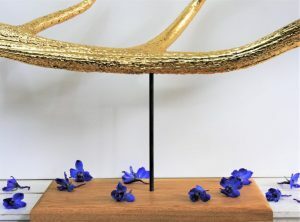 Serena creates bespoke, hand gilded deer antler centerpieces. These centerpieces are the perfect addition to any wedding looking for an opulent yet enchanting finishing touch. Serena is based in Scotland but is more than happy to work with couples, wedding stylists, venues and florists all over the UK. We caught up with Serena to find out a little more about the fabulous-ness she could bring to your special day. 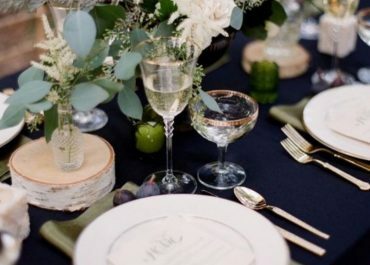 Where and how can your pieces be used, in a wedding? “I work closely with each customer from the beginning of the process, to make sure the piece fits in perfectly with their wedding vision. 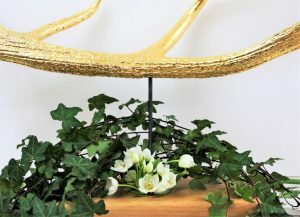 They can choose whether I use gold, silver or copper leaf (to complement the rest of their wedding colour scheme) and I send them photos of various antlers I have available to work with. 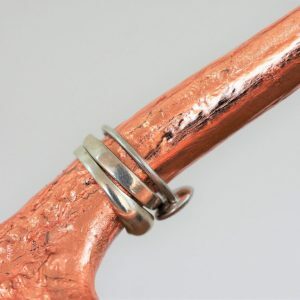 A couple would typically choose to use one of my pieces as a really striking focal point in the wedding ceremony itself – for example placed on the table at the front. However, they also look beautiful on the top table at the reception. In fact, some people choose to take their piece from one place to the other, adding continuity of style throughout the day. 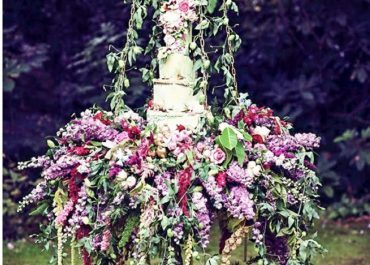 Each centrepiece can be left bare – standing as a striking sculptural feature on its own – or can be dressed with the flowers or foliage they’ve chosen for the rest of their wedding. What is your process when creating your pieces? “First I hand-clean, air-dry and seal every antler with a clear protective coating. Then, I begin the hand-gilding process, carefully applying layer after layer of gossamer-thin leaf in gold, silver or copper. The specialist tools I use include an oil-based adhesive ‘size’, bamboo tweezers (a traditional tool of Japanese gilders) and a delicate brush called a ‘tamping’ brush, to gently work the leaf into every crack and crevasse. 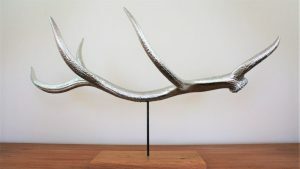 “Finally, the gilded antler is mounted on a solid wooden plinth using an oxidised steel rod. Every plinth is carved by a local Scottish craftsman from a single piece of sustainably-sourced oak, then lightly oiled to protect the wood and bring out the natural beauty of the grain. 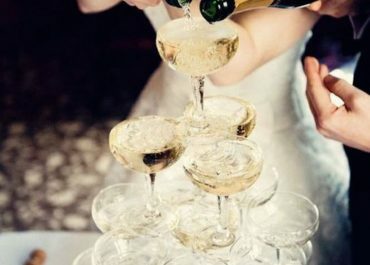 Any top styling tips for a couple planning their wedding? To take a peek at even more examples of Serena’s gorgeous work and to find out more about Deerheart Designs, click here!